So You’ve Had Your First Book Published? You’ve Just Started Learning! 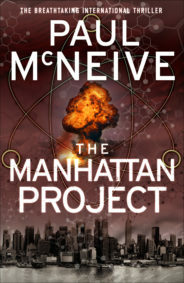 My first thriller The Manhattan Project was published by UK publisher, Black and White Publishing, in May of 2018. The book was published initially in the “trade paperback” format-that’s the large size book that has replaced the traditional hardback, and is very popular in Ireland, at prices from €14.99 upwards. A great launch, a raft of TV and radio interviews and good reviews, helped the book enter the bestseller list in Ireland, to great excitement. In the UK, I discovered that the “trade paperback” format is not popular at all-for example, Waterstone’s don’t stock any books in that format, and readers prefer to wait for the traditional paperback. Then came the very exciting news that my publisher was doing overseas translation rights deals. These are very good news for an author as the up-front sum paid to your publisher, is halved with the author. Another great deal was the sale of the audio-book rights for the Commonwealth. Apart from the fun of receiving complimentary e-mails from readers/listeners in Australia, audio-book deals are welcome in that the author receives a much higher royalty payment-and audio-books can sell at about €40. 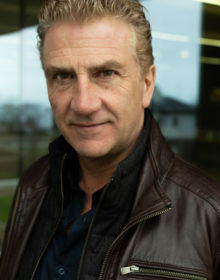 A standard clause in a publishing contract is that in any subsidiary sales (like those above), the subsidiary publisher has the right to rename the book and to redesign the cover. The contract says that they must consult the author, but ultimately, they can do as they please. That doesn’t cause me much difficulty, even though I loved Black and Whites cover- design, but it was interesting to see that, for example in Germany, the publisher has renamed the book “Resistent” and completely redesigned the cover. Similarly, for the audio-book, which is a ten CD box-set, voiced by an English actor, the cover was redesigned yet again. I hadn’t heard an audio-book before and I hadn’t realised the effort that the reader puts-in-for example in doing different accents for the different characters. That must have been a big challenge for my book, as it flits from New York, to Tokyo to Afghanistan, but the reader, Lewis Hancock, really brings it to life. The next stage is the publication of the book in Ireland and the UK, in the traditional paperback format, and this will see the book widely available in the UK. That is due to happen in May of this year. And guess what? The cover has been redesigned once again! The paperback has a very edgy black cover-which I love. But it’s certainly been a revelation that within six months of initial publication, I’ve already been involved in the design of four different covers! A theme to The Manhattan Project is the danger of the overuse of antibiotics, which is seeing common infections learning how to fight-off the antibiotics that we have been relying on for decades. A very unexpected boost is that my book came to the attention of Professor Dame Sally Davies, who is the Chief Medical Officer for England. She advises the UK government on health strategy and she is delighted to have a book out- there, that demonstrates the danger of this problem in an entertaining way. She invited me to meet her at the NHS headquarters and she is involving me in a series of initiatives to raise awareness. For example, I recently spoke at the London headquarters of the European Bank for Reconstruction and Development, on the overuse of antibiotics in the food-chain. She has given the book a terrific review and is encouraging everyone to read it. Alongside all of this, I’ve been writing the “follow-up”-provisionally titled “No Defence” which will be published in 2020. Whilst the premise may not be as totally unique as “The Manhattan Project,” it’s unusual and very original and I’m excited about it. Also, I think my writing is better in this book and it is plotted to the end, so I will avoid wasting time “making it up as I go along”-which was pretty much how the first book developed. “No Defence” starts fast, and stays fast, and I’ve learned a lot from the editing processes I’ve been through. My plan for 2019 is to make as big a success as possible of “The Manhattan Project” overseas and to see it exposed to the movie/tv market, which I always had in mind when writing it. I’ll also have to be very disciplined in finishing “No Defence” and not allowing myself to be distracted by what should be my third novel. I have been mulling over an idea for a completely different type of book, and it has been losing me sleep. I wrote the first chapter recently and it flowed so easily that I am looking forward to getting back to it. But my priority has to be finishing “No Defence” to as high a standard as possible by summer. Ever since I started writing, I have found the resources Inkwell and of Writing.ie extremely helpful. Indeed it was a “Readers Report” organised for me by Vanessa Fox O’Loughlin, that turned my potentially good manuscript into something that publishers really wanted, within a fortnight of sending it out. I continue to take Vanessa’s advice-there can’t be many people in Ireland that know the business as well as she does. I don’t have an Agent but I’m not going to rush into that, and I think the most important thing is to prove that I am not a “one–hit-wonder,” that I can be prolific, and that I can write in different styles. The priority has to be the writing and to make everything as good as possible. I’ve realised that I’m really only at the early stages of a potential career as a writer. If the writing is good enough, the rest will follow. And it’s taking New York by storm. One terrible desire for revenge connects them all. With the clock ticking on an audacious, devastating plot to bring America to its knees, can anyone save New York from catastrophe?